This tiny designer dog comes with an enormous price tag, immense responsibility and prior due diligence required to understand the minute-to-minute care needed to oversee the safety, health and happiness of this dog. Small children, other pets and basic furniture — yes, furniture! — can be fatally dangerous to this dog. Unlike the TV on which you may see these dogs and the celebrities that momentarily parade these pocket puppies before the camera, these dogs are not for the financially meek, people who are away from home frequently or those who may balk at spending several thousand dollars in a moment's notice for emergency vet visits. The American Kennel Club (AKC) does not recognize the name "Teacup Poodle," as the so-called Teacup Poodle is merely a very small Toy Poodle. Since the Teacup is essentially a non-hybrid Poodle, it is in the Toy Group. This dog was not so much bred as down-bred, and its only purpose — and possibility — is pure decor. Like fine porcelain on wheels, the tiny Teacup Poodle must be watched at all times, lifted and set down to prevent it from tumbling and breaking, and handled with great care lest it be seriously injured. Not only is this dog not for inexperienced dog owners, it is not for people who must budget. 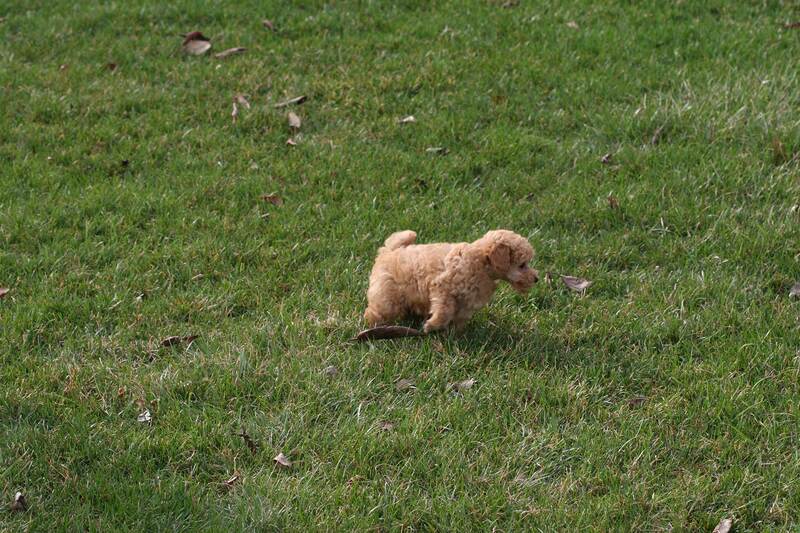 The Teacup Poodle is basically a very small Toy Poodle. These are extremely small dogs that are practically guaranteed to be expensive from day one to their very end — and as they are remarkably fragile and require an extraordinary amount of care, that end can come from very little effort. The high price of acquiring one of these dogs is but the first of a life-long series of payments that will be required to maintain this dog's well-being. 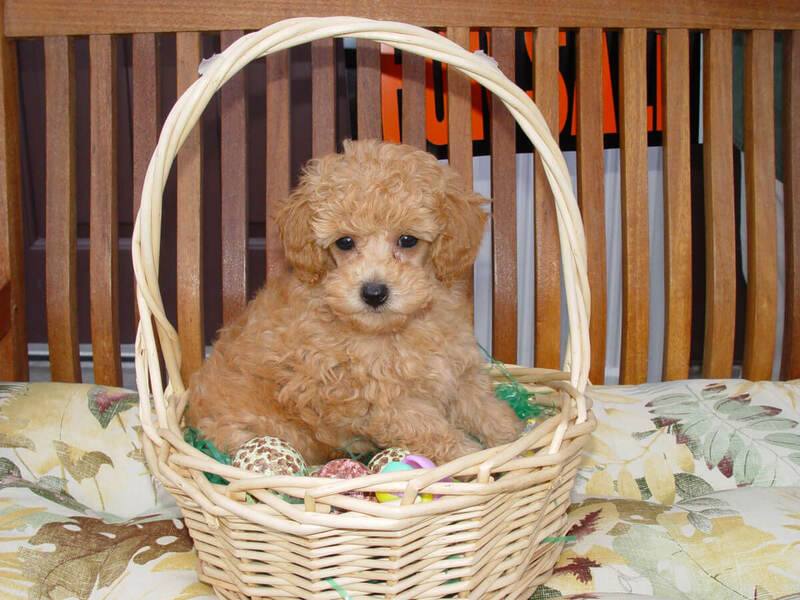 For more in-depth Teacup Poodle information, visit our Toy Poodle breed page. 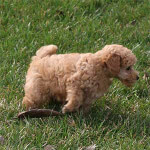 Although the Teacup Poodle is a tiny dog, it is still a Poodle and as such has the typical Poodle's high intelligence. They are easy to train, somewhat stubborn and in severe cases, prone to Small Dog Syndrome. You must make sure your Teacup is properly trained and very carefully socialized so as to prevent overexertion, agitation and nervousness. Poodles are dogs that prefer to have relatively unique relationships with each family member rather than a singular preference for one person. They are somewhat protective of those whom they love, they can be a bit obnoxious in the company of larger dogs and they clearly forget that they are so small that simply jumping from a bed or couch to greet you can result in them breaking a bone or getting fatally injured. They are minuscule, they are dainty, but they are not lazy — nor are they strong. They do need exercise, but that exercise needs to be done carefully to prevent injury. Because the color is a major selling point for these highly coveted puppies, many breeders conceive color names such as "Tuxedo Poodles," "Parti Poodles" and "Phantom Poodles" to imply they have Teacup Poodles with coat colors and markings unique to their farms. 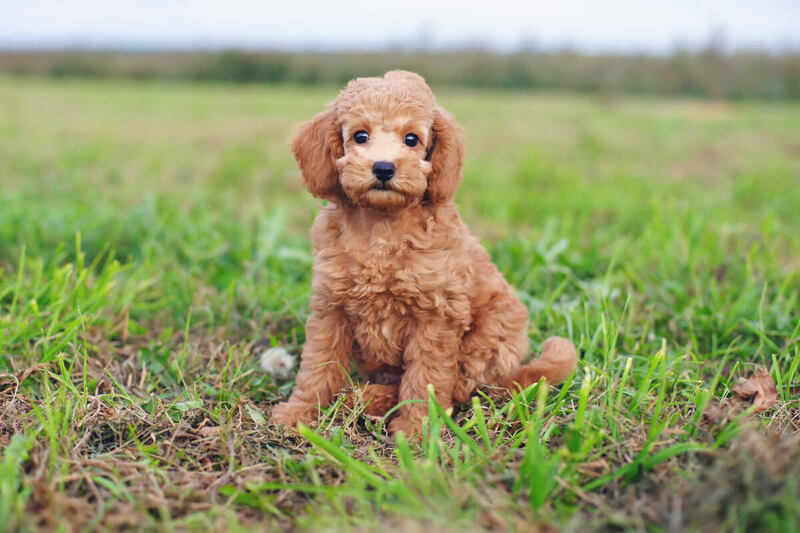 While there are two- and three-color (parti and triparti / tripartie, respectively) Teacup Poodles, solid color-Teacup Poodles tend to be the ones both breeders and buyers most desire. The demand for solid color-coated Teacups is followed by a demand for those dogs that are primarily solid with relatively rare-color pattern spots such as apricot, red or brindle. 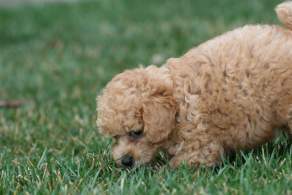 Teacup Poodles as a variety — let alone a breed — are not recognized by the American Kennel Club (AKC); perhaps they have been crossbred in a prior generation to get the size characteristic. Some dog lovers and breeders say the Teacup Poodle's very small size may have initially come from Poodle litter runts that were maintained and mated for nothing more than down-breeding. In any case, it is very difficult to learn from those who breed these extremely tiny dogs how these dogs were brought about, as such breeders' Web sites fail to mention these things. What appears to matter most to breeders and buyers alike is the Teacup Poodle size. Technically, so-called Teacup Poodles are Toy Poodles, but as the AKC describes all Toys as being those dogs that are 10" or under in height, this includes teacups, tinies, etc. Most Teacup Poodle breeders describe a Teacup Poodle, full grown, with a weight of about 2-5 pounds and no more than 8" in height. Technically, Teacup Poodles are Toy Poodles, as the American Kennel Club (AKC) describes any Poodle under 10" as exactly that. 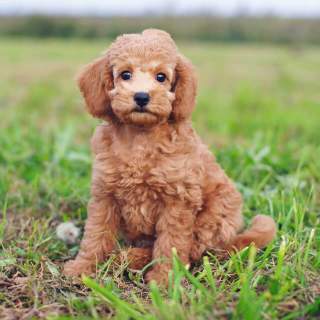 It is not unusual to hear Tiny, Very, Tinnie, Micro, Micro-Mini and any given odd name implying petite and / or coat color when dealing with dog lovers and breeders of Teacup Poodles. Unlike most designer dogs, Teacup Poodles are not mixed breed dogs but produced from down-breeding the smallest — and, some people state, the runts — of Poodles (and Poodle litters). The AKC doesn't recognize this variety, and breeders tend to not disclose generational information. As such, filial chain of custody — better known as F1, F2, etc. — is rarely, if ever, observed. Teacup Poodles have coats similar to typical Poodles: curly, thick, usually silky and essentially hypoallergenic. Granted, little fuzzy Teacup Poodles are mind bogglingly cute, but for the most part, the Teacup is little more — no pun intended — than a normal, healthy and less-expensive Poodle. These very tiny dogs are hard-wired to have a big-dog disposition. Since Teacups can easily possess and exhibit the Small Dog Syndrome that in turn may prompt them to perform in ways that are fine for larger dogs, they require practically round-the-clock care. They may insist on jumping up and then off furniture; they may challenge other (almost always larger) dogs; and they may try to behave in a protective manner that can literally lead to their death. You need to be the "leader of the pack," but you need to be so in a very careful manner. These tiny dogs can quickly and easily develop separation anxiety, a bad temper and nervousness. If they are allowed to become fearful, it can be deathly detrimental to them; a weak heart, unfortunately, tends to be typical to Teacup Poodles. Despite all the potential problems that can occur with the Teacup Poodle temperament, these are highly intelligent dogs that are easy to train. They make great watch dogs and tend to have a unique relationship with each family member even as at least one person should establish the "alpha dog" role. Teacup Poodles are highly intelligent, easily trainable and desirous of a hierarchy. These dogs are also ludicrously small, extremely fragile and prone to Small Dog Syndrome. This is not a dog for frugal families, tight wallets or large yards. Teacup Poodles are also not fit for families with other pets, young children or non-present professionals — meaning if you are not home nearly all the time every day, you risk coming home to a dog who may have died or incurred serious injury. Rough play can break bones, jumping from even a low couch can injure organs and an apparently demure collar on a leash can easily cause brain damage. Teacup Poodles tend to be unaware of their size, and they can react badly if agitated by immature kids as well as other pets. Even a baby should be supervised when in the presence of a Teacup Poodle. 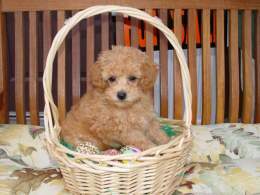 Below are images and pictures of the Teacup Poodle dog breed. The Teacup Poodle is an extremely small dog with an inversely immense responsibility. They are not good dogs for first-time families, people with small and / or young kids living at home or as outdoor dogs. If you have a tight budget, the Teacup Poodle is not the dog for you. If you can't afford to casually, comfortably and constantly spend several tens of thousands of dollars on health costs, vet bills and environmental modifications, the Teacup is not for you. If your decision to buy or adopt a Teacup Poodle is impulsive, vain or merely driven by a desire to have a dog like a celebrity you saw on TV, then this tiny, fragile and expensive dog is definitely not for you. You need to be the alpha dog but you also need to be uniquely gentle. You must understand that these highly intelligent dogs can die from something as simple as being strapped into a collar leash instead of a harness, jumping from a couch seat rather than being manually moved from the cushion to the floor, or not providing enough food which can in turn prompt hypoglycemia. These dogs must be kept inside; taking them outside should be done only if you can and will keep them protected every step of the way. (There may be only a couple or three New York City stories about urbanized hawks preying on small dogs in the city, but those incidents did occur and they happened to tiny dogs in public parks, on condo balconies and while being walked.) You must maintain a spotless home that offers no opportunity for your Teacup Poodle to eat foreign objects. Due specifically to their size — an aspect which more and more breeders, sadly, are attempting to make more and more smaller — Teacup Poodles have a laundry list of ailments apparently larger than the dog and longer than his life span. Worse, many of the ailments are fatal if left untreated. Blood, heart and bone disorders are the most serious of the oftentimes fatal disorders that can quickly develop within Teacups. There are also eye, ear, nose, skin, joint, digestive and internal organ conditions that must be monitored. There are also food and other allergy issues that require careful diets, close and constant monitoring and very careful handling to prevent the easily incurred injuries that can result from simple activities, basic negligence and incorrect handling. When taking in a Teacup Poodle, the transition alone — if done hastily and without significant preparation — can prompt fatal stress reactions in this very small dog. 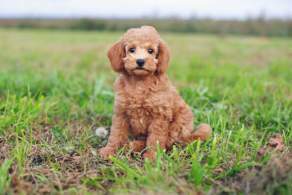 There are countless stories that you can easily find regarding Teacup Poodle owners whose dogs died "mysteriously" after a seemingly innocuous action, last-minute diet change or imprecise medicinal dose. 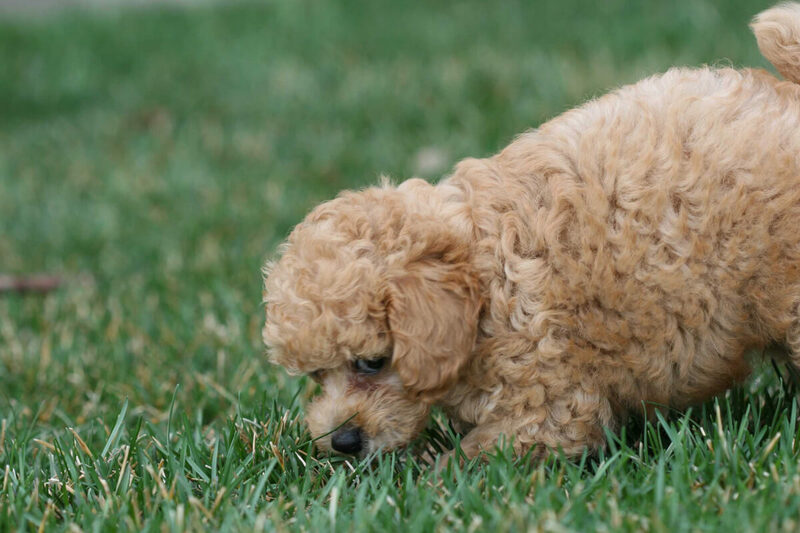 Although some of those stories may be outrageous, exaggerated or simply untrue, the point is that Teacup Poodles can easily fall victim to the simplest health issues. You should also understand the differences and respective health concerns between Teacup Poodles and litter runts that some thoroughly unscrupulous backyard breeders (BYBs) fob off as so-called Teacups. The typical Teacup has enough problems because it is so small; runts tend to have far more as well as very different health problems.